Movies about Genius Artists are notoriously problematic affairs, especially if the subject happens to be a real person. An artist’s biography may be juicy or colorful, but it’s never the best way to explain why their work has endured or why it matters. Jean-Marie Straub and Danièle Huillet’s The Chronicle Of Anna Magdalena Bach tackles this problem in a roundabout way. The film—one of the most original and unusual debut features of an era defined by them—is free of psychology, or almost anything resembling drama or acting in the usual sense. It bypasses every convention in an attempt to enter into a more or less direct relationship with the art—in this case, the music of J.S. Bach. In the film, Bach is played by Gustav Leonhardt, one of the preeminent baroque and classical keyboard players of the 20th century, and a key figure in the period instrument movement, which emphasized the importance of performing music on the instruments it was composed for, rather than their modern counterparts. Slight and skinny, Leonhardt looks nothing like anyone’s idea of Bach, but he was the closest Straub and Huillet could find to someone who could play like Bach. The bulk of Anna Magdalena (which takes its name from Bach’s second wife, whose voice-over makes up the movie’s “narrative”) is made up of period-accurate performances of Bach compositions, arranged chronologically and recorded in single takes in places where the works were first performed. The end goal is to recreate the space and sound of 18th century music—the world of cramped, echoey private concert halls, where conductor-less ensembles stood shoulder to shoulder. Everything in front of the camera is designed for maximum authenticity (Straub and Huillet reportedly went as far as to have prescription glasses cut to period specifications for some performers), while filmmaking artifice is kept to a minimum. Besides treating its subject (and the entire practice of making biographical films about artists) with integrity, Anna Magdalena also serves as a perfect introduction to the work of its directors. Straub and Huillet were a French-born husband-and-wife team who produced a large body of work, distinguished by its straightforward presentation, love of the natural world, and fidelity to text. (Huillet died of cancer in 2006; Straub remains a prolific director of short, small-scale films.) Though they often intersected with other major European movements—hanging out with future French New Wavers in the 1950s Paris, helping a young Rainer Werner Fassbinder get started in the late 1960s—they remained a duo apart, making movies exclusively on their own terms, founded on a rigorous, personal relationship to their source material. 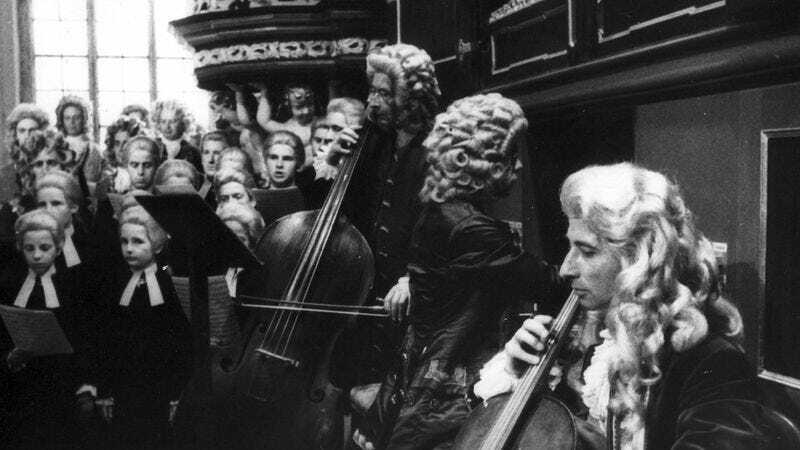 Availability: The Chronicle Of Anna Magdalena Bach is available to stream on Netflix Instant.The out-of-print DVD can be obtained from Netflix or your local video store.